I always parent from the heart. I follow my instincts and I've never had any regrets about my parenting. 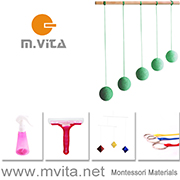 I have looked to Montessori for guidance and ideas and it's always made sense to me. I've not always agreed with other Montessori parents and I occassionaly find a book (and many e-books) that I disagree with. But at the core of it, I am naturally drawn to parenting the Montessori way. With my last son Otis (pictured above, asleep in the Ergo), we almost exclusively used a baby carrier over the pram. For our next child, we intend to do the same. I love the warmth the baby carrier provides but also the convenience. I don't have any toddlers to worry about (Otis is now six) and I don't have any back or hip problems. It's a given that the baby carrier will be used almost daily once our baby is born (hello school runs). Maternal points of reference. Baby-wearing keeps the infant close to their points of reference from the womb including the mother's heartbeat and voice. Later the child will find comfort in either parent or caregiver's familiar warmth, smell, and touch. Warmth, Security, and Comfort. Provides the positive effects of touch and physical connectedness, including skin to skin contact. This can provide great reassurance for a child especially when venturing out for the first time or in unfamiliar surroundings, which for the infant is most of the time. Baby-wearing (inwards facing) can also help to protect the child from unwanted touch, gazes, and attention from strangers. Exposure to language and being a part of family and community life. Maria Montessori stressed the importance of keeping the infant close to the mother, providing mental stimulation to the infant by being a part of family and community life, and having close proximity to the mother to promote language - by allowing the infant to observe language (close up) including the mouth during conversation. The Absorbent Mind has a good few paragraphs on how Maria Montessori admired cultures who embraced baby-wearing. Exposure to nature and the outdoors. Montessori encourages taking infants outdoors from day one. Nature walks are lovely in the early days for both parents and the child. The child has a much better view of the world from a baby carrier than they have from a pram. In a baby carrier, the caregiver can be attentive to the child while allowing exposure to the gentle breeze, flowers, leaves, branches, scents and the general goings-on in the environment. Respect for natural rhythms. The baby can look at the caregiver in the eye to babble and engage in conversation, they can look around and observe the world around them (mental stimulation), or they can drift off to sleep, I love that baby-wearing allows the parent to be attentive while respecting the child's natural rhythms. However, balance is so important here. Baby-wearing can be taken to the extreme. We know freedom of movement and developing autonomy is so important for the infant also. The child needs movement to build trust in themselves in their environment. We need to stay attentive to the child and allow them, especially past the newborn stage to be self-directed, even an infant on a play mat can decide for themselves what they would like to do or play with. And we always want to encourage a child who can walk, to walk within their own abilities. Baby-wearing can become too convenient for caregivers and should not take priority of a toddler or walking child independently exploring their environment. "So it follows that Montessori parents must recognise that the child’s need for touch must be balanced with their need for freedom of movement. This requires sensitive parenting and a desire to follow the child, not placing the needs of the adult above those of the developing baby. Carrying a baby and giving her time in her own space should never outweigh one another, but should be balanced and offered in accordance with her needs which she will communicate readily. The key lies in understanding and responding appropriately to her communications." 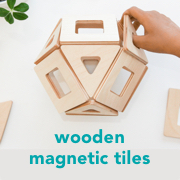 Meg Hicks, At Home with Montessori. It's also interesting to read other parenting philosophy's views on baby-wearing. Montessori seems somewhere in the middle. Attachment parenting encourages babywearing as much as possible, RIE much like Montessori suggests there are benefits to baby-wearing but out of respect for the child must not be taken to the extreme, not something done for the convenience of the parent but for the benefit of the child. I'd love to hear your thoughts!